An excellent example of Mies van der Rohe's design idiom "less is more"
Mies’s famous ‘less is more’ dictum is more than just a design aphorisms; sometimes it's a moral code. This idiom is fully evinced in the functional design of his Villa Tugendhat at Brno. Considered one of the finest examples of the International Style of architecture and completed in 1930, the building strikes a perfect balance between the rigorous Rationalists and the Bauhaus school mixed with a starkly dynamic Central European aesthetic. The villa combines that alchemy of art, philosophy and architecture that was key to the early Modernist movement. Mies Van der Rohe believed that architecture in its simplest form is essentially functional but that at its highest level it could engender a spiritual experience and enter the realm of pure art. 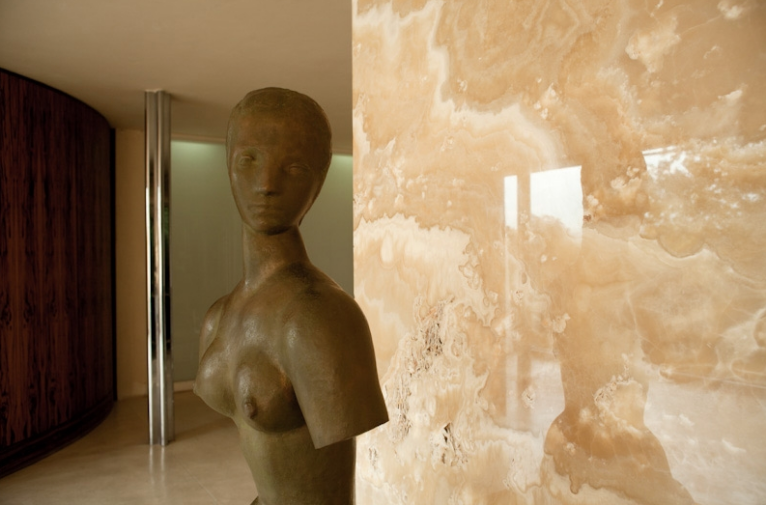 Main living space, copy of the Female Torso by Wilhelm Lehmbruck.© 2010 - 2018 Vila Tugendhat. 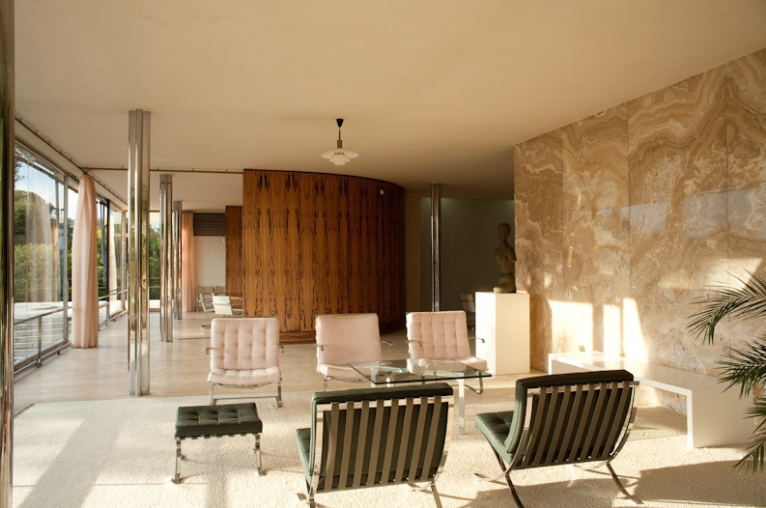 Villa Tugendhat was commissioned by the wealthy newlyweds Grete & Fritz Tugendhat, a Jewish couple with family money from textile manufacturing companies in Brno. 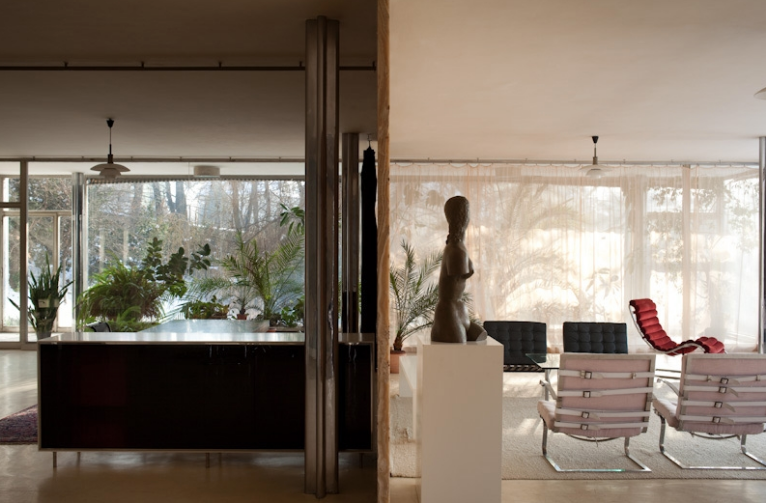 The couple met Mies van der Rohe in Berlin in 1927, and was already impressed by his design for the Zehlendorf house of Edward Fuchs. As fans of spacious homes with simple forms, Mies’ free plan method was perfect for the Tugendhats’ taste; however, he was not their only interest in an architect for their own home. They originally confronted Brno’s foremost modern architect at the time, Arnost Wiesner, but after visiting various projects by each architect, the Tugendhats ultimately went with Mies. Main living space, study and group seating separated by the onyx wall.© 2010 - 2018 Vila Tugendhat. 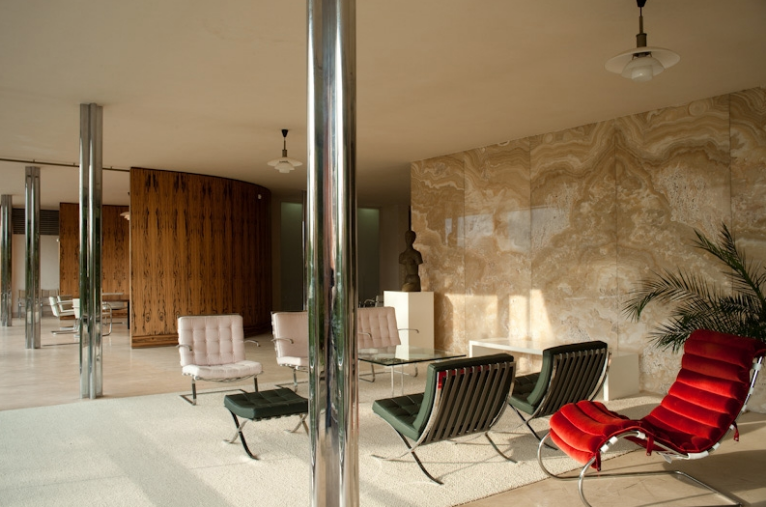 One of the most interesting aspects of the house is the interior which retains many original pieces of furniture designed by Mies van der Rohe which later became icons of European design. The elegant austerity of the rooms and furniture inside the villa represent the spirit and the intentions of the entire building. Three Tugendhat armchairs originally stood in front of the living room’s onyx wall, upholstered in silver-grey, plus three Barcelona armchairs and a stool in emerald green leather, a glass table and a white bench. Main living space, group seating in front of the onyx wall with a view through towards the dining room.© 2010 - 2018 Vila Tugendhat. The three-storey house is built with an innovative steel skeleton with reinforced concrete ceilings and brick masonry. The slim and elegant supporting columns of a cross-shaped profile are part of the interior’s living spaces. While the villa’s basement level contains the utility facilities, the ground floor houses the main living areas with the conservatory and the terrace as well as the kitchen and servants' rooms. The third storey, on the first floor, houses the main entrance from the street plus bedrooms for the family. 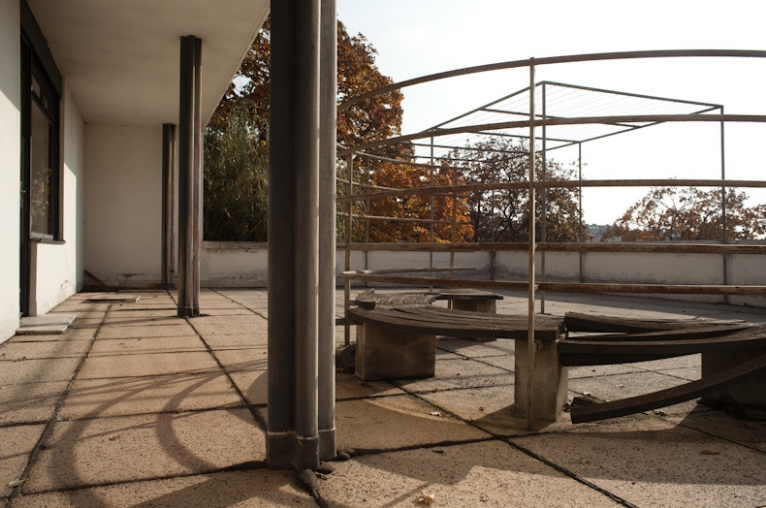 Covered part (rain shadow) upper terrace at the children's bedrooms.© 2010 - 2018 Vila Tugendhat. Mies wanted the façade of the house to be covered in climbing plants to create anoptical disappearance of the building's mass into the greenery plus enhancing the link between the interior and the exterior. Today, the garden’s connections with the main living areas is most apparent where the dining area links with the elongated half-circular terrace under the weeping window. 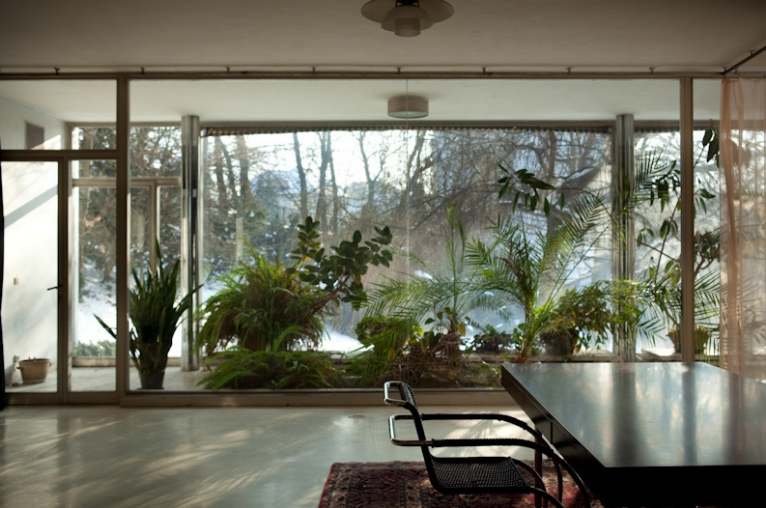 Main living space, view through of the winter garden.© 2010 - 2018 Vila Tugendhat. Entrance hall with the glazed milk wall, main entrance to the house on the left.© 2010 - 2018 Vila Tugendhat. 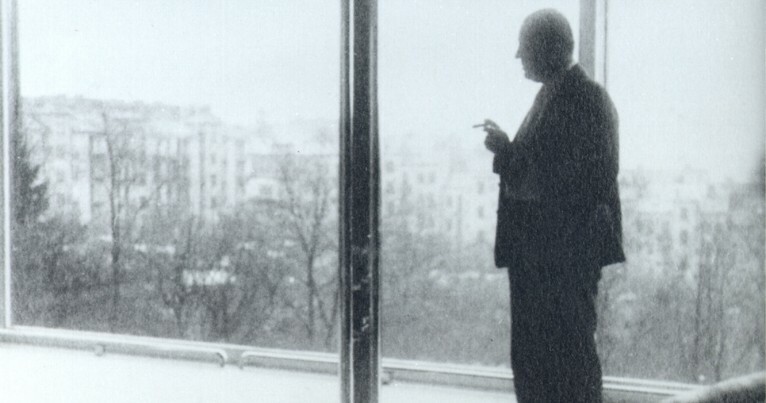 Ludwig Mies van der Rohe in Villa Tugendhat in February 1931, photograph: Fritz Tugendhat. 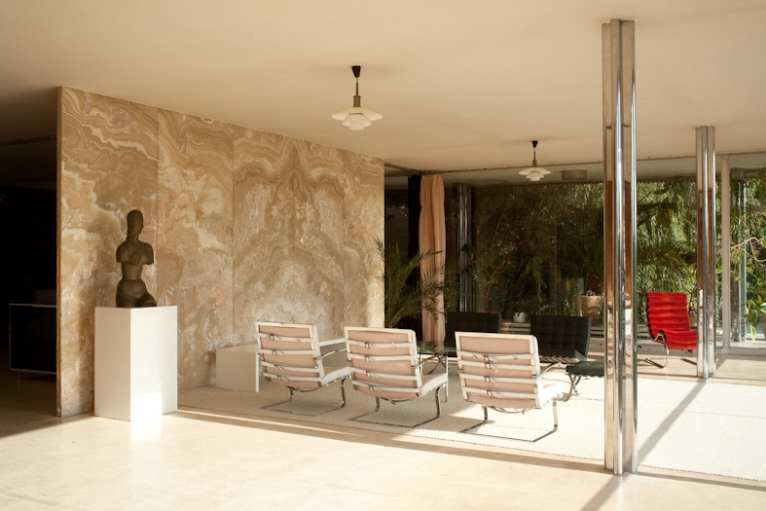 The villa has been restored to it's austere 1929 splendour after a two-year renovation to look exactly as it did when its first owners, Fritz and Grete Tugendhat, moved in 88 years ago. 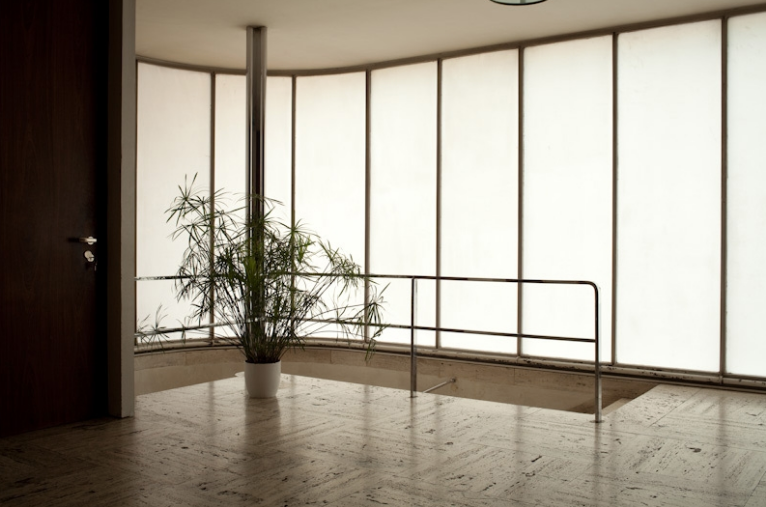 Today, the Villa Tugendhat is the only example of Modern architecture in the Czech Republic recorded on the UNESCO list of world cultural heritage.